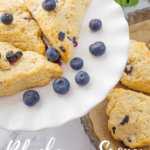 Using fresh blueberries, learn how to make my Blueberry Scones Recipe- a delicious treat for breakfast, brunch or even an afternoon treat. It’s best eaten fresh from the oven and smothered with butter or jam. 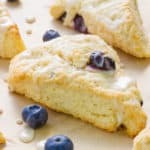 Hi Simply Bakers, in all the years I’ve been baking on YouTube, I have never made a scone recipe!! 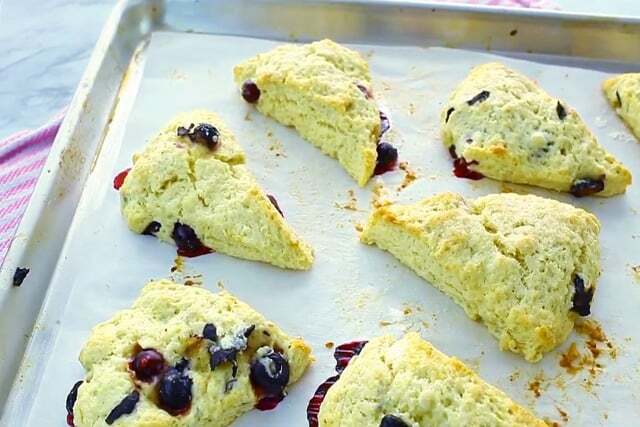 I’ve eaten a good amount of scones in my lifetime, but I never got around to baking some until now. 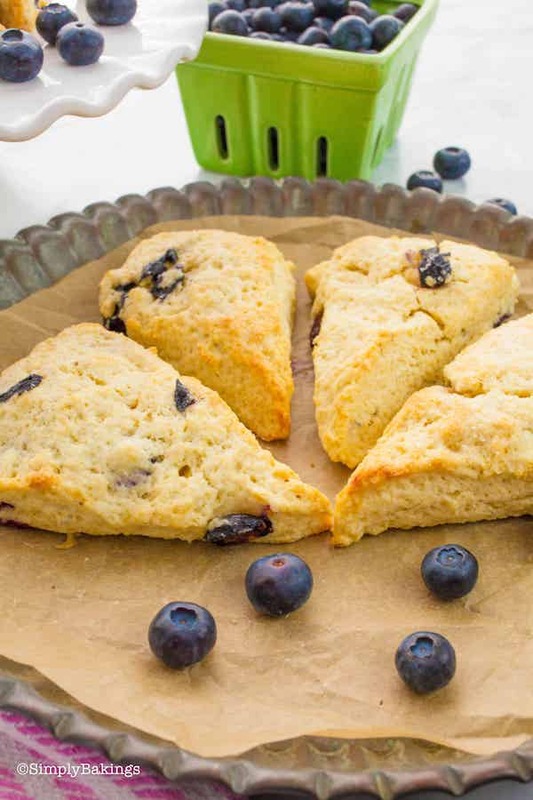 These Fresh Blueberry Scones are wonderful fresh out of the oven. As I was taking photos of the scones, I was popping them in my mouth and enjoying the crumbly texture and sweetness of the blueberries. Since I didn’t add a lot of sugar, the sweetness and tartness of the blueberries were able to shine. 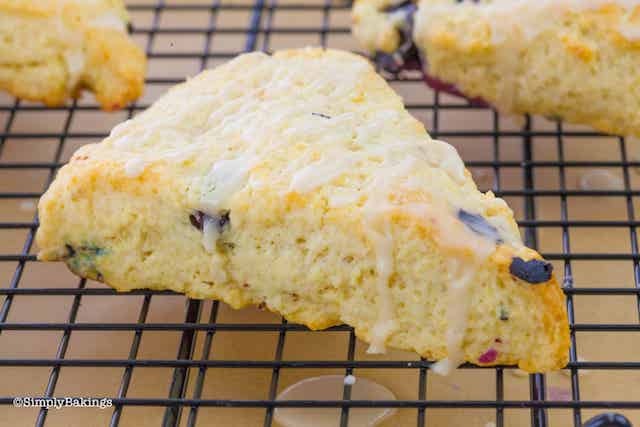 In addition, I added a lemon glaze to drizzle over the scones and I’m so glad I did. 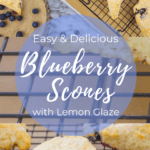 Lemons and blueberries are a great combination- I can foresee making a lemon blueberry scone in the near feature. I didn’t show you how to make the glaze in the video, but you can find the glaze recipe in my Lemon Cake post. It is important to sift the powdered sugar to make the glaze to avoid a lumpy glaze. Smooth glazes are the best! 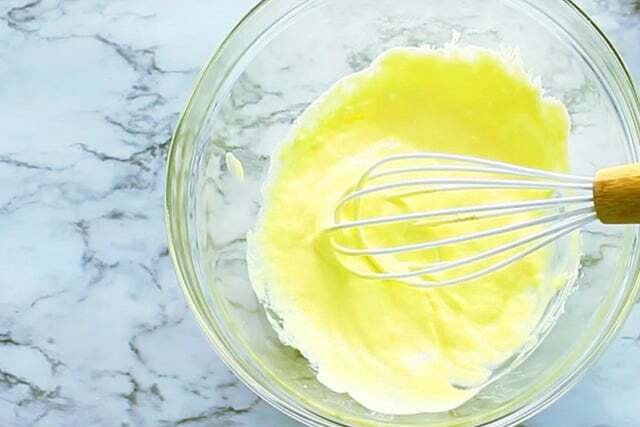 Use fresh lemons and fresh lemon zest for the best results when making the glaze. It tastes so much better! Pop the stick of butter in your freezer for about 30 minutes before grating it. 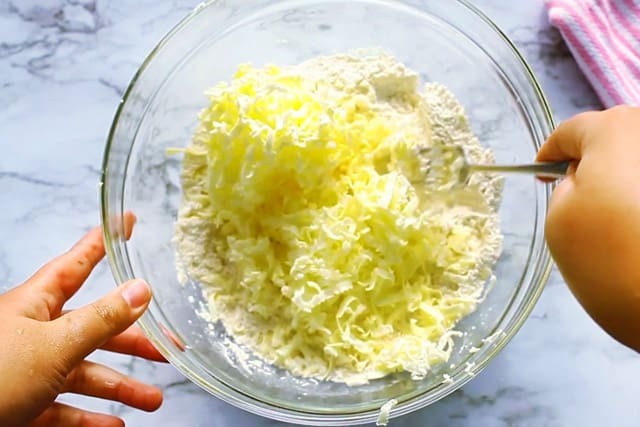 In that way, handling the butter would be easy and would result to even sizes of grated butter. 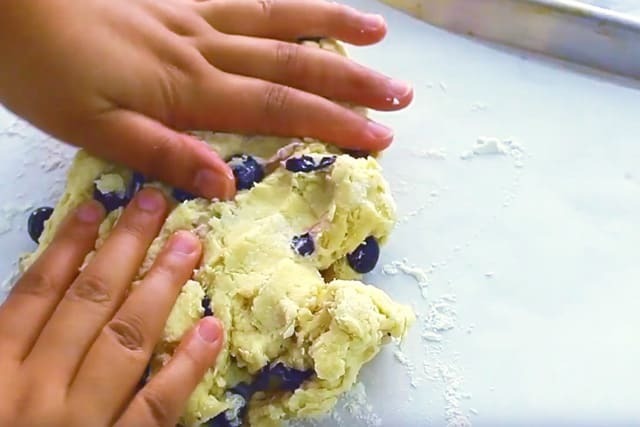 Coat the fresh blueberries with flour first before mixing them in the dough to prevent the blueberries from settling at the bottom. This is especially true to more runny batters. 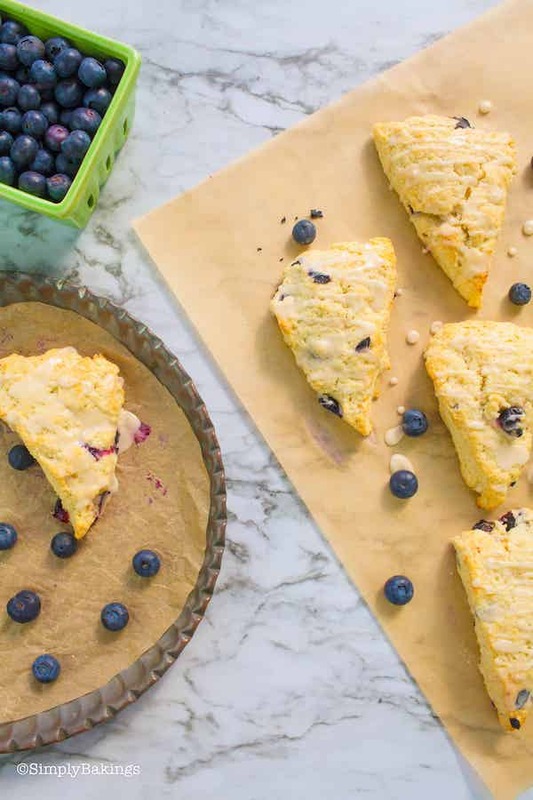 Have you tried “scooped” scones? 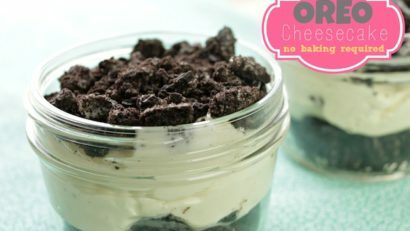 You can do that with this recipe. 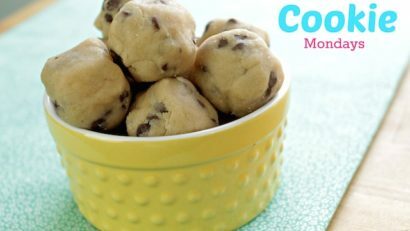 Just scoop the dough using an ice cream scoop and bake, instead of slicing it. Before starting the mixing and kneading process, don’t forget to preheat oven to 400 F and move the rack to the center. 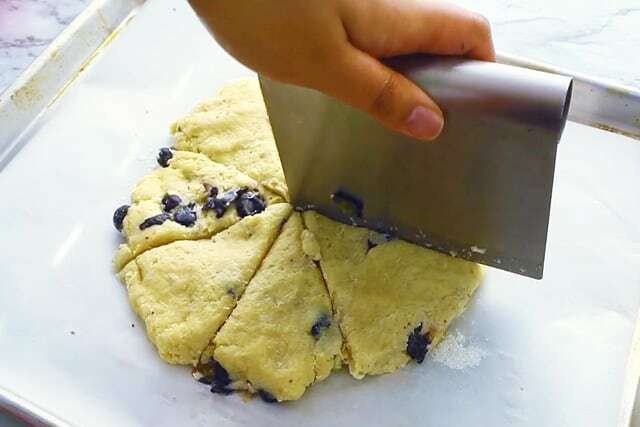 The blueberry scone dough is a bit dense so it needs the right temperature for it to be baked properly. Now, let’s begin! 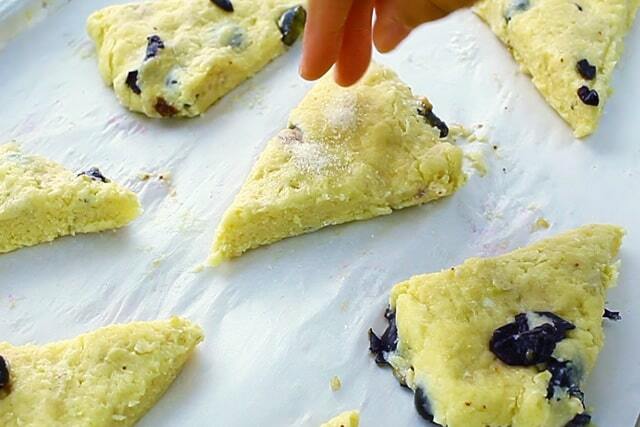 Here are the ingredients you will need to make this easy, delicious Blueberry Scones! 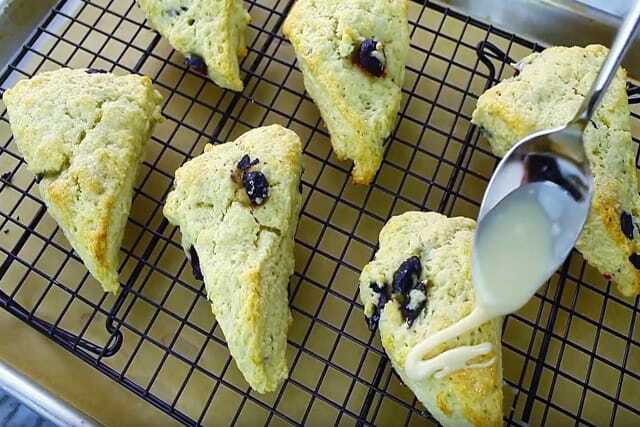 As you can see, I added a bit of organic white sugar on top of the scones. 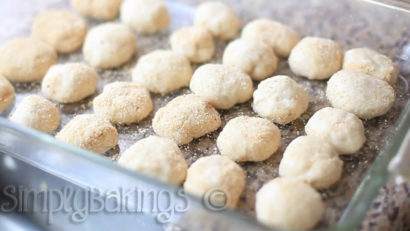 I did not add much sugar when I was making the dough and I decided to add just a bit of sweetness to it. Bake for 15-17 minutes and there you have it! 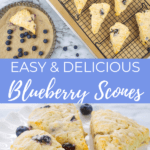 Easy, delicious homemade blueberry scones! Your kitchen would smell soooo good! The magic doesn’t stop there, Simply Bakers! 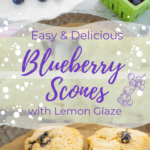 Though this step is optional, but lemon and blueberry go well together so it is best to drizzle lemon glaze. 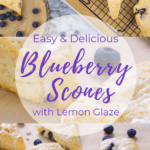 It would take your blueberry scones over the top! Yum! Q: Would frozen blueberries work as well? A: For sure, it would work perfectly fine. Of course, the difference would be the freshness but I am sure the scones would taste as delicious. 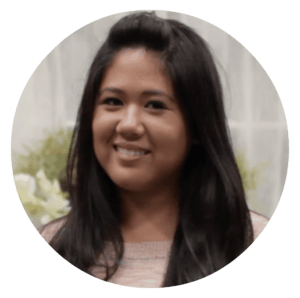 Q: Can you refrigerate and bake the dough later? A: Yes, you can. Making it ahead of time and just chilling it when you need them will save you a lot of prepping time. Q: Can this be made with other kinds of flour? 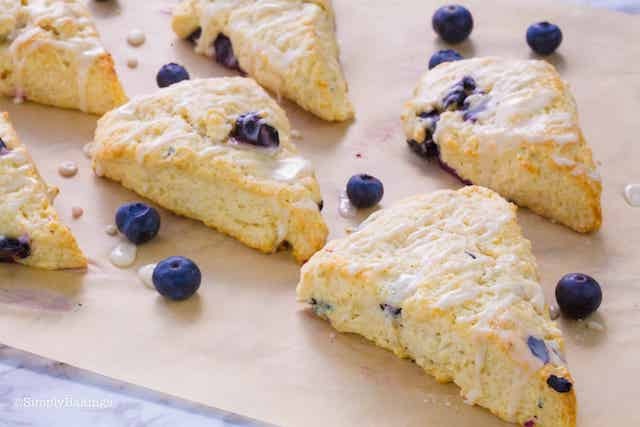 A: That would be possible but maybe it has a different texture like when you use whole wheat flour, it would result may be in a drier blueberry scone. Q: What other alternatives can I use for the eggs? A: If you are allergic to eggs, you can buy egg substitutes in grocery stores. I am sure it would work perfectly well for this recipe. Preheat oven to 400 F and move the rack to the center. 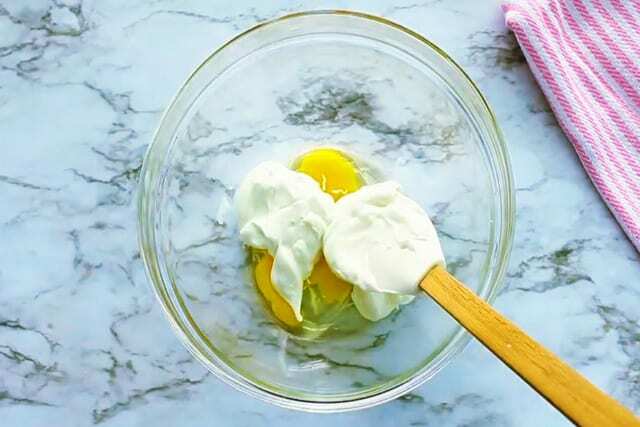 In a medium sized bowl add the eggs, sour cream and mix until it’s well combined. Set aside. 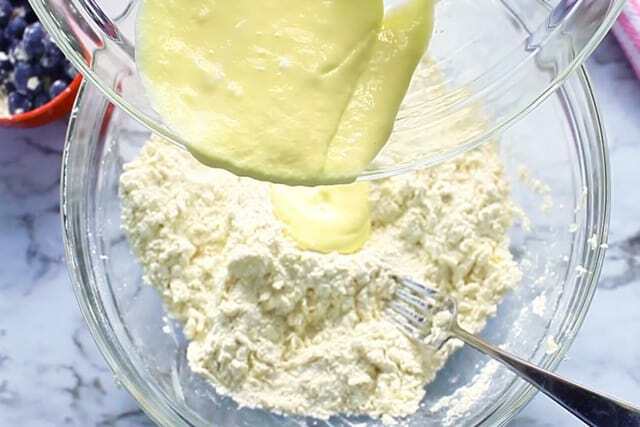 In a large bowl whisk together the flour, granulated sugar, salt, baking powder, and baking soda. 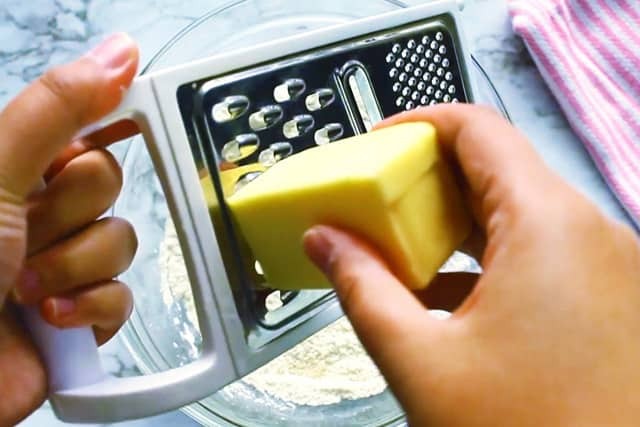 Using a grater, grate the butter into the bowl and then mix with a fork till just combined. 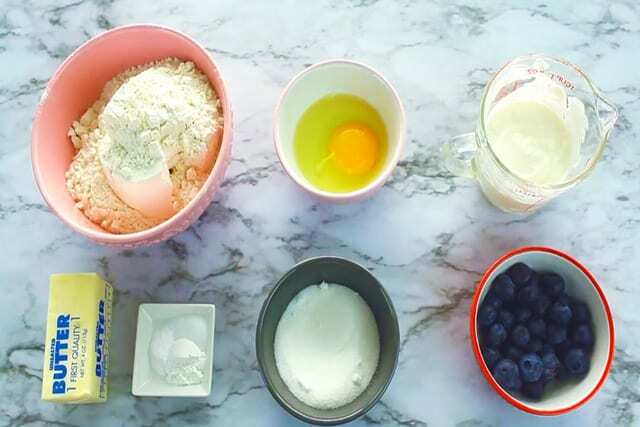 Add the fresh blueberries and knead the dough until everything is mixed in. 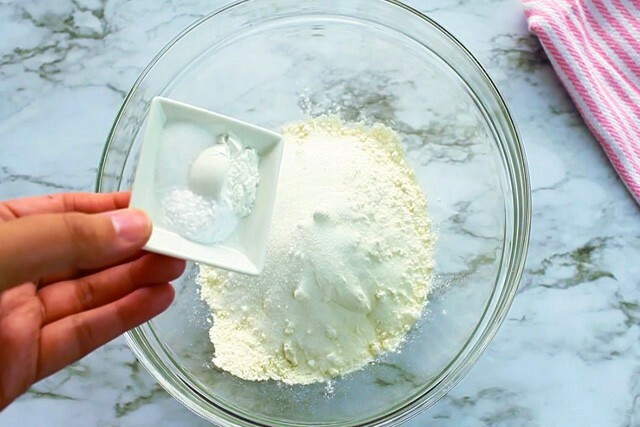 Lay the dough on a floured surface and create a circle (check the youtube video). 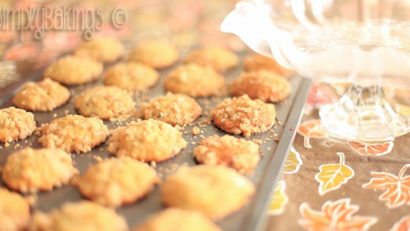 Then slice into 9 pieces and place on a mat lined with parchment paper.